Home » Audio & Video » What to Look for When Shopping For a Marine Radio? Equipping your boat with the right radio can be one of the most important decisions you’ll make, as it can be the difference maker in a life or death situation, and it can completely shift your whole experience while out on the water. That being said, you can’t expect a conventional radio to perform well on a boat, because it’s going to take a lot of abuse from extreme temperatures, driving rain and sunlight, and because it probably isn’t marine-rated to stand up to the elements. 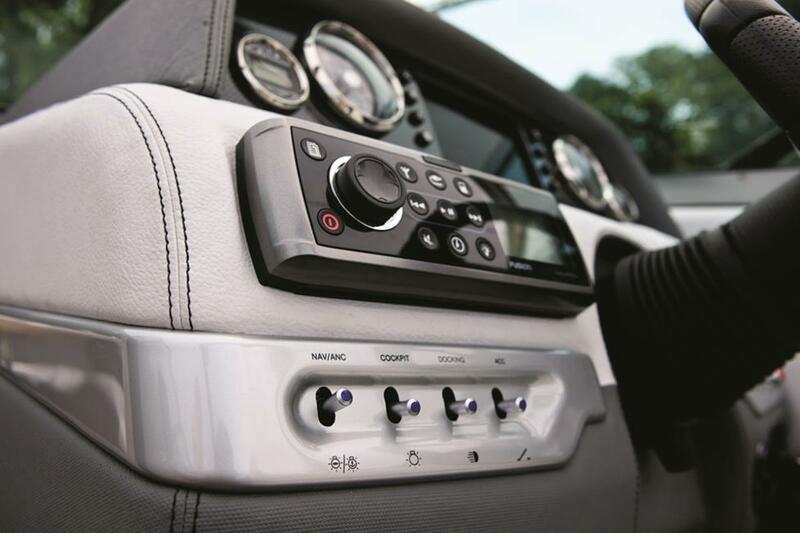 Car radios, for example, are placed in a watertight interior of a vehicle, while marine audio equipment is exposed to open climate, salt, water and sun, which oftentimes may be the reason behind broken electrical components. Marine equipment undergoes hundreds of hours of pre-production testing, with UV test chambers simulating years of sun exposure, while salt fog chambers simulate saltwater environments. Water blasts ensure each and every seal and button is moisture-resistant, and special conformal coatings are put in place to provide protection for the circuitry. That being said, water resistance, UV and anti-corrosion protection are the key factors to look for when shopping not just for radios, but for boat supplies Australia wide as well. When shopping for a radio from boat supplies Australia stores, you also need to pay attention to the specs, features and the power of the radio. In terms of specs, you should be looking for the same things as you would if you were looking for car radios – a receiver with a wide frequency response, USB ports, a decent amount of RMS power and a high CD signal to noise ratio. FM sensitivity, power handling, weatherproof cones, UV-resistant grilles, and rubber surrounds can also be important. In terms of power, you want as much as possible of it for a cleaner and clearer sound. Most marine radios come with 4-way amplifiers, but some people find that adding an extra external marine amp to the system increases the quality of the receivers significantly. As far as features go, long gone are the days of one-trick CD players, and nowadays, marine radios can be quite feature-packed. Built-in Bluetooth, SiriusXM satellite, USB and AUX ports allow you to play music from any mobile device, thus allowing you to stay entertained at all times. Lastly, if you want to prolong the lifespan of your radio, consider the patch cables, the power, and speaker wires as well as the convenience accessories like remote controls and all-weather mounts and covers for added protection.